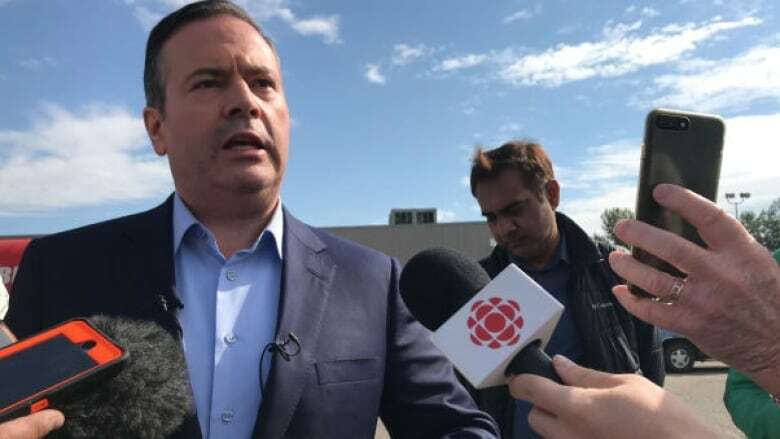 UCP MLAs and newly nominated candidates will join party leader Jason Kenney at several events. The party is planning a door-knocking blitz throughout Lethbridge on Saturday. Candidates will receive training in preparation for next year's election. MLAs are also meeting with community groups and preparing for the fall legislature session, which starts Oct. 29. Three hundred people are expected to attend a $150-a-plate fundraiser Friday evening with Kenney and the UCP caucus. Proceeds will go to the UCP constituency associations in Lethbridge East and Lethbridge West. "We are just months away from the next provincial election," Kenney said in a news release Thursday. "The United Conservatives will work hard to earn the support of Lethbridge residents for our plan to reignite Alberta's economy, scrap the carbon tax, and stand up for our resources. That hard work begins this weekend." Both Lethbridge seats were held by Progressive Conservatives going into the 2015 election. Former Liberal turned PC MLA Bridget Pastoor didn't run in 2015. Lethbridge East voters chose NDP candidate Maria Fitzpatrick to be their MLA. NDP candidate Phillips unseated incumbent PC MLA Greg Weadick in Lethbridge West. The Progressive Conservatives merged with the Wildrose in 2017 to form the UCP. In her role as environment minister, Phillips has frequently criticized the UCP for not viewing human activity as the cause of climate change, and for lacking a plan to mitigate its effects. Her views have made her a target on social media, particularly for people who identify themselves as Kenney supporters. Phillips is unfazed by the conservative influx into her home turf. She challenged Kenney to join her at a school opening in her constituency Friday and talk to parents about how badly the school was needed. She also challenged the UCP leader to meet with climate scientists at the University of Lethbridge, also in her riding. She says she could even introduce Kenney to some downtown business owners who pay their employees a living wage. The NDP contends Kenney will decrease funding of public services if he wins power next year. Phillips says her constituents don't want that. She notes there are many young families in Lethbridge West and many people work in public services like health care and post-secondary education. "I'm really looking forward to Jason Kenney talking to people in Lethbridge to hear about how his proposed cuts to health care and education, that in his own team's words, will hurt people," she said. Phillips says both she and Fitzpatrick will be doing their own canvassing this weekend and attending community events. "Unlike conservatives, I don't believe anyone is entitled to govern Alberta," she said. "We all have to work very hard and talk to voters and put in the time on the ground to do that."